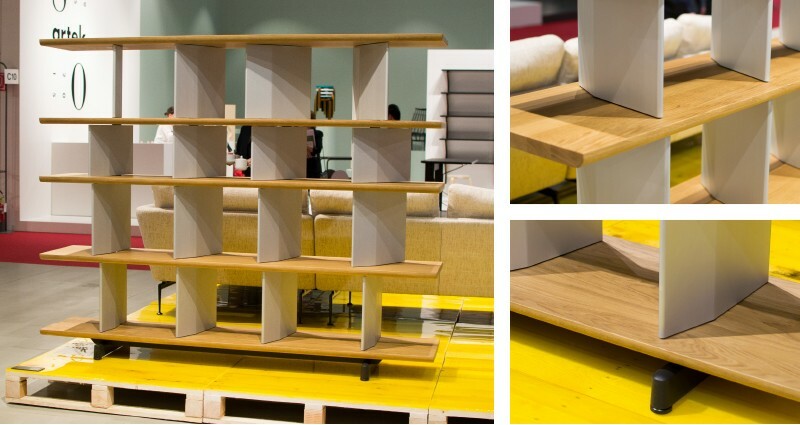 Our Digital Assistant and avid photographer Max takes you through the highlights of the world-renowned Milan Furniture Fair. 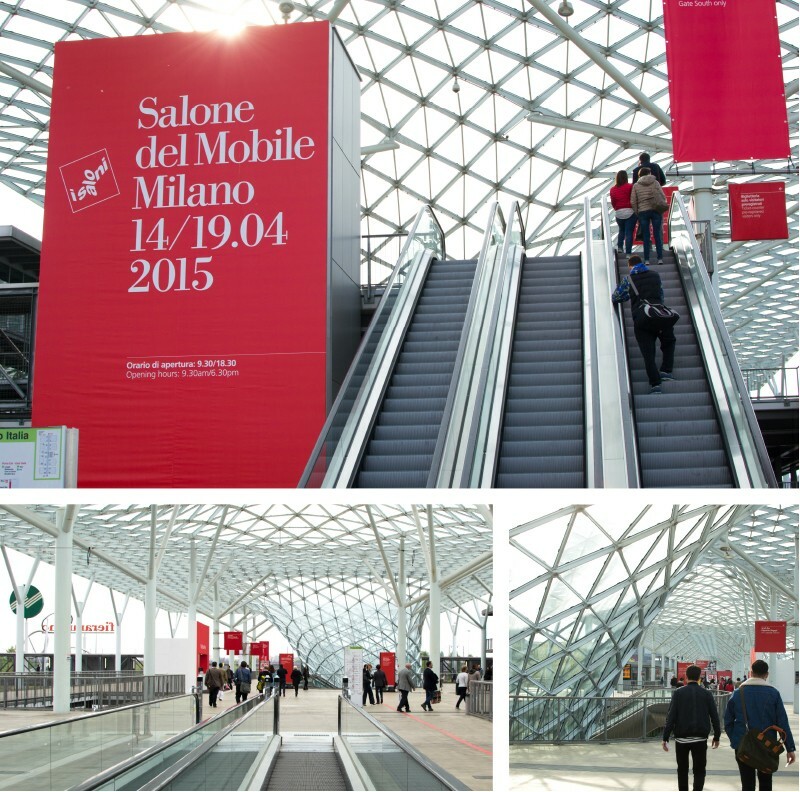 Hosted at the impressive Fiera Milano exhibition centre in Rho, the venue perfectly complements the grand scale of the Milan Furniture Fair year after year. However, this was our Digital Assistant Max’s first time in Milan and he had plenty to take in from the whole experience! 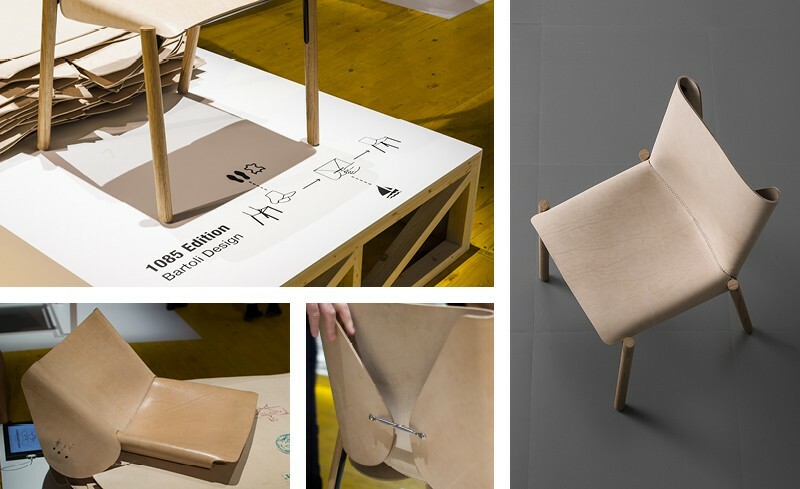 Plenty of products captured Max’s attention during the Milan Design Fair, including a mix of new designs and revisited classics. One of these was the updated Vitra Polder Sofa, which was redeveloped by designer Hella Jongerius with an industrial approach in mind. More comfortable and economical than its much-loved predecessor, the Polder’s original crafty buttons have been replaced with something a little more contemporary. 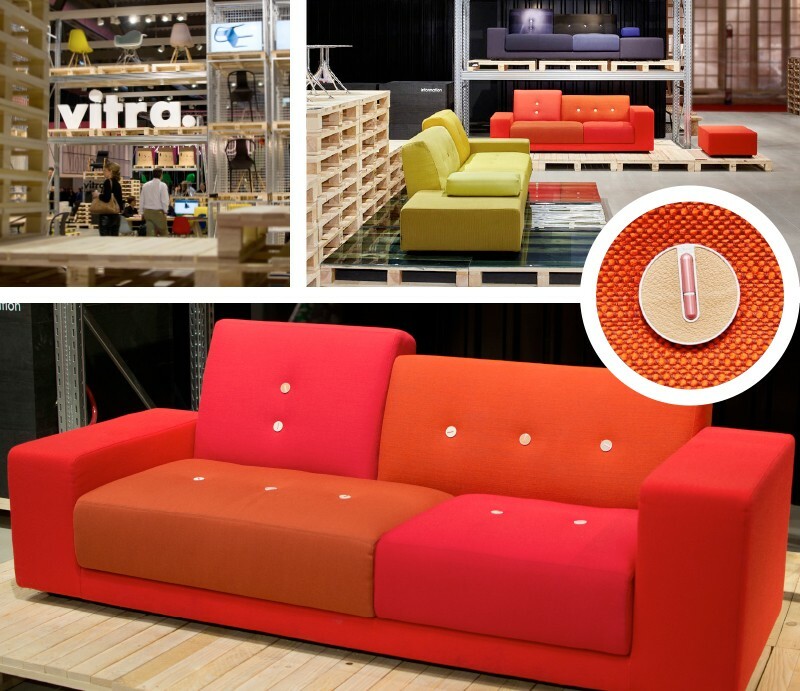 The sofa is available in 4 primary hues for your home, from green and night blue to red and golden yellow. Another favourite of ours from Vitra was the Planophore Shelving System by BarberOsgerby, which is named after and inspired by the first model aeroplane powered by twisted rubber bands. Featuring vertical aluminium panels that can be rotated for a multitude of interesting configurations, the Planophore Shelving System also works wonderfully as a room divider. A true conversation piece at the fair was the Kristalia Hide Chair 1085 Edition, which features a natural hide covering sewn with visible stitching in reference to haute couture. Over time, the texture, shape and colour of the hide will change, resulting in a product that ages both beautifully and naturally. To ensure the tension remains strong, the hide is kept tightly in place with a unique tie-rod. Rich tropical hues and vibrant colours were spotted all over the fair and the Knoll Bertoia Plastic Chair was no exception. Giving an iconic classic a contemporary edge, the chair has been updated with colourful plastic seating to celebrate the centennial of designer Harry Bertoia’s birth. Our Marketing and Operations Director Toni got to experience the comfort of the chairs whilst catching up with Katherine Williams from Knoll UK. 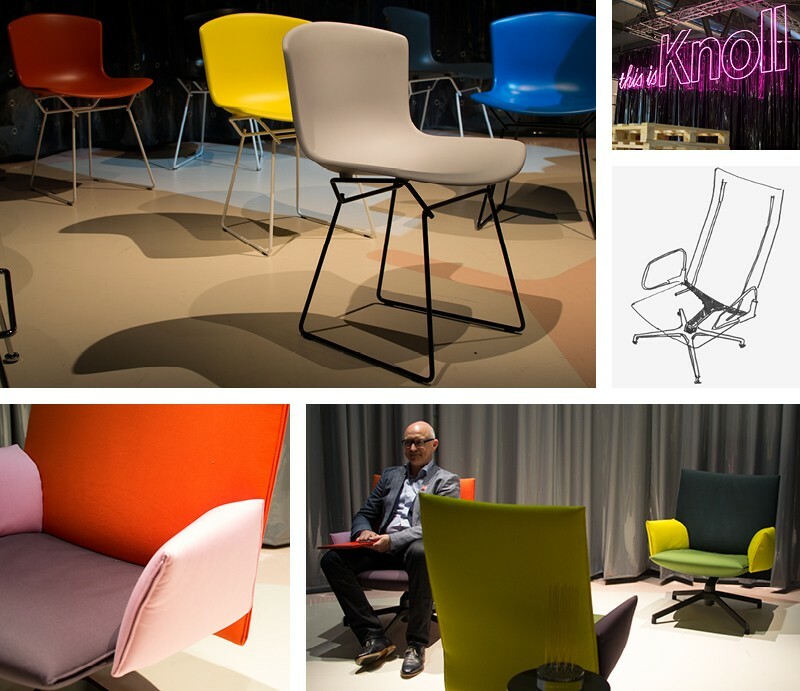 Also bright and colourful, the Knoll Pilot Lounge Chair by BarberOsgerby is perfect for both the home and the office and can be adapted and transformed with different coverings. Scholten & Baijings are renowned for their contemporary pastel textiles, which is why we were incredibly excited to see their ‘Blocks & Grid’ pattern in the flesh on the new Moroso Ottoman. With its soft, open and rounded design, the Ottoman allows for extra freedom of movement and the ability to lounge as well as sit. Max discovered plenty of showstoppers in the lighting category whilst exploring the fair, including the striking Luceplan Mesh Light by Francisco Gomez Paz. Demonstrating the remarkable properties of LEDs, the light is constructed from a web of metallic cables and LED lights that can be turned on and off in individual sections. Dreamy and unexpected, the Bocci 73 Pendant Light is formed by blowing molten glass into loose heat-resistant fabric pillows. Due to the way in which the pendant lights are formed, each individual pendant is different from the next and can be hung in clusters to create a cloud-like composition. 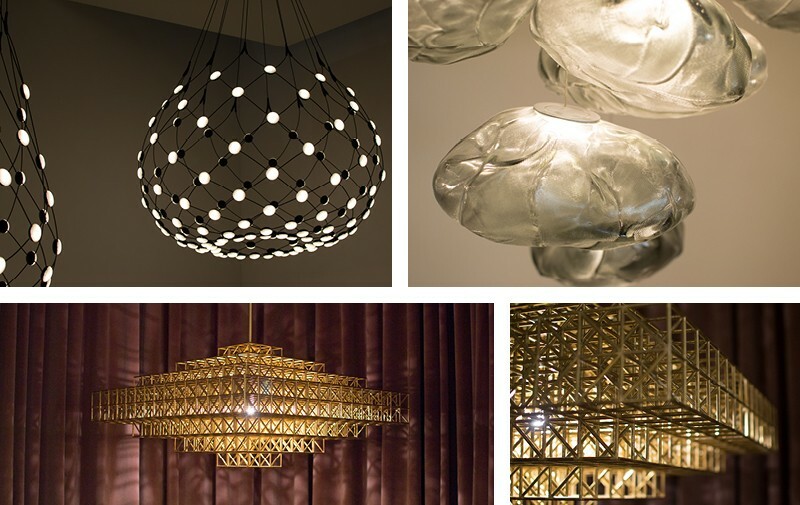 Just as with the Bocci 73 Pendant Light, the production methods behind a design are often as important and intriguing as the final product. The Gridlock Pendant by Roll and Hill is the perfect example of this, which takes around 60 hours to assemble entirely by hand! The intricate composition of the individual tiny brass parts made this raw and effortlessly beautiful product a significant highlight of the show for our team. 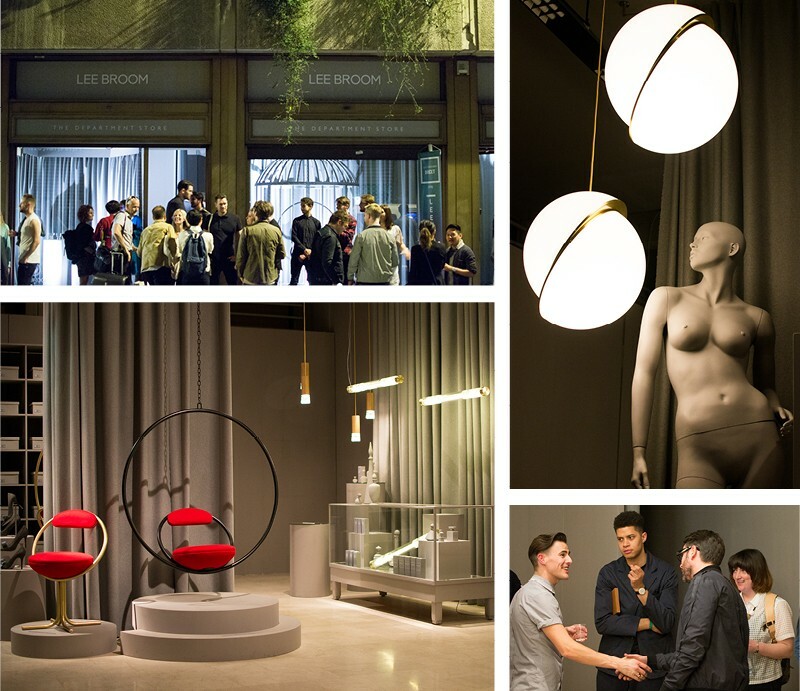 Another of Max’s highlights from the trip was a party hosted by designer Lee Broom at 'The Department Store'. Greeted with a glass of bubbly, we chatted to Lee Broom about his latest designs and explored his collection in the dramatic and theatrical setting of the exhibition. Each space in the exhibition was themed around different shop departments - including perfume and shoe departments - and styled in grey to emphasise the extravagancy of the products. Our time in Milan was mostly focused around the fair, but there was plenty more to see and do beyond the hype of Milan Design Week. 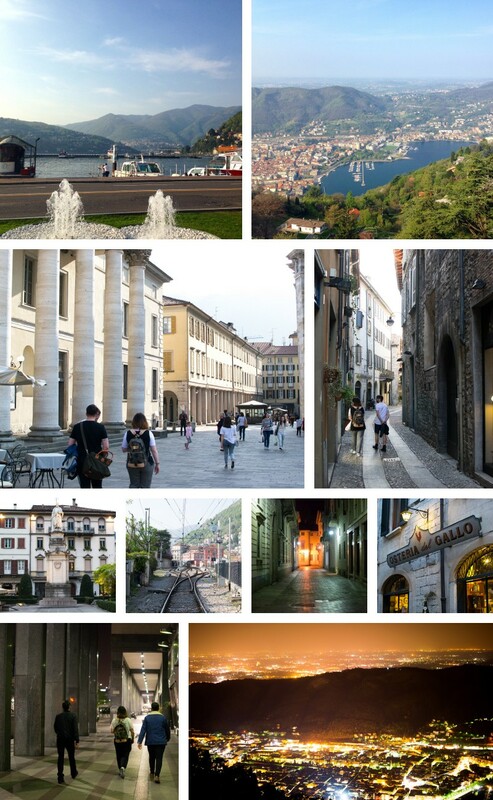 A peaceful haven away from the hustle and bustle of Milan, Lake Como was our home away from home for the trip and offered spectacular views, plenty of history, a wide variety of delicious food and a number of fantastic spas (apparently… we didn’t have the time to experience them ourselves!). Fast-paced, insightful and challenging, Milan was a remarkable experience for Max and team Nest.co.uk. Dozens of ham baguettes later, we arrived back on UK soil with plenty of inspiration for you and your home. From rich burgundy, pink and plum tones to fluid forms and mid-century 50s glamour, the key influences from Milan are definitely here to stay. If you'd like further information on any of the featured products or brands, then please email info@nest.co.uk, call 0114 243 3000 or get in touch with us on Live Chat. 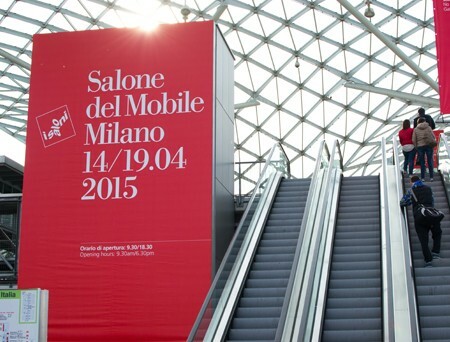 You can expect to see many exciting products from Milan on our website very soon!